Happy Sunday everyone! 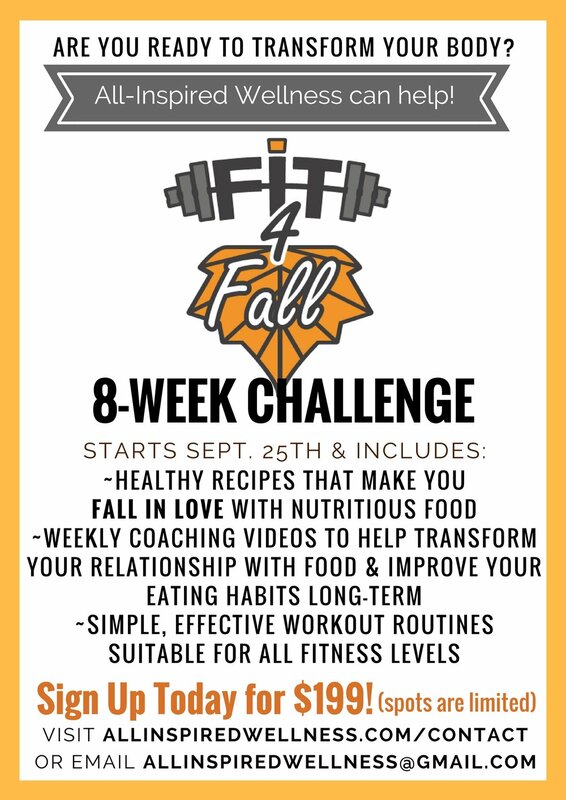 I am excited to announce that the #FitforFall 8-Week Transformation Challenge starts ONE WEEK FROM TOMORROW (September 25th)! Fall is an incredibly busy time for most people, so my goal was to make this challenge suitable for anyone's schedule. Instead of weekly one-on-one sessions that can be difficult to find time for, the nutrition coaching and workout programs will be sent to you ONLINE, so you can utilize the tools and motivation any time that works for you! Weekly Coaching Videos to help transform your relationship with food and create healthier habits long-term. Nutrition Guidelines to take the guesswork out of portion sizes and concentrate on macronutrient balance (protein, fats, and carbohydrates). Healthy Recipes to help you feel confident in the kitchen and make you fall in love with healthy eating. Full-body Workout Program (suitable for all fitness levels) that you can do at the gym or in the comfort of your own home. 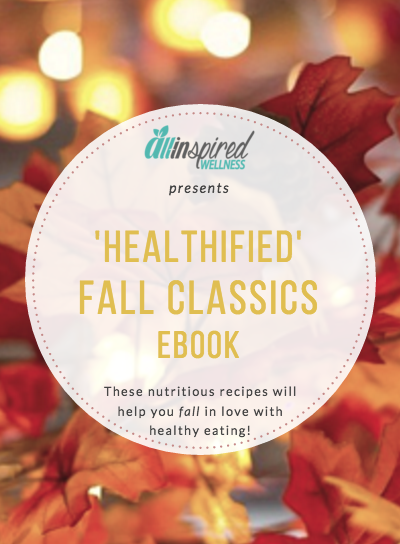 BONUS: Sign up between now and September 25th and receive a FREE eBook with 14 delicious Healthy Fall Recipes to jumpstart your success! Visit the link below to secure your spot in the 8-Week Transformation Challenge! Space is limited because I want to give each participant the support needed to help reach their goals. Feel free to contact allinspiredwellness@gmail.com with any further questions, otherwise I look forward to seeing you NEXT MONDAY to get started! Receive this recipe eBook for FREE when you sign up for the 8-Week #FitforFall Transformation Challenge!